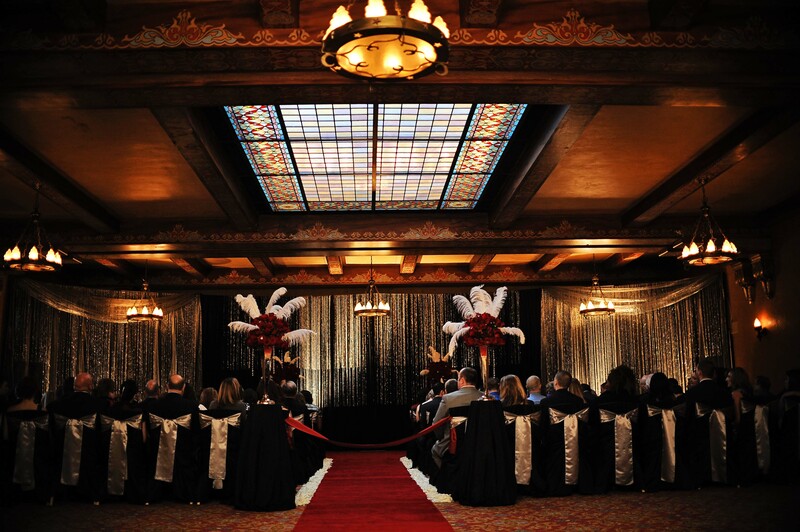 This gorgeous ceremony was Old Hollywood Glamorous! 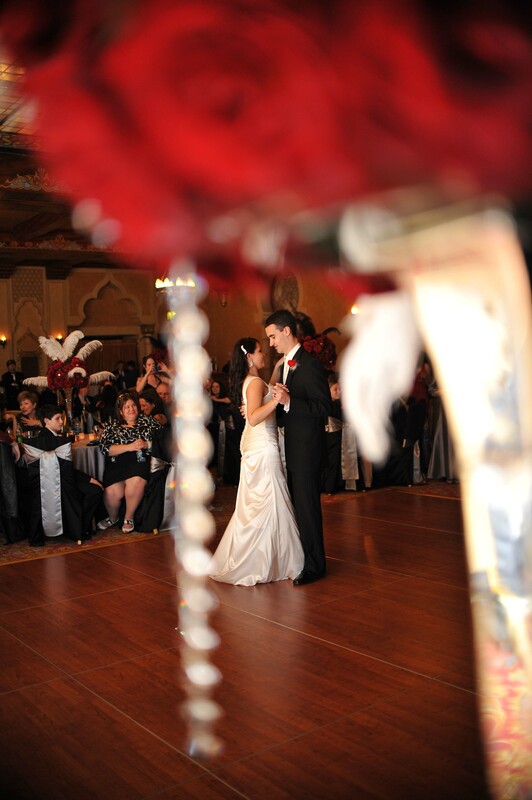 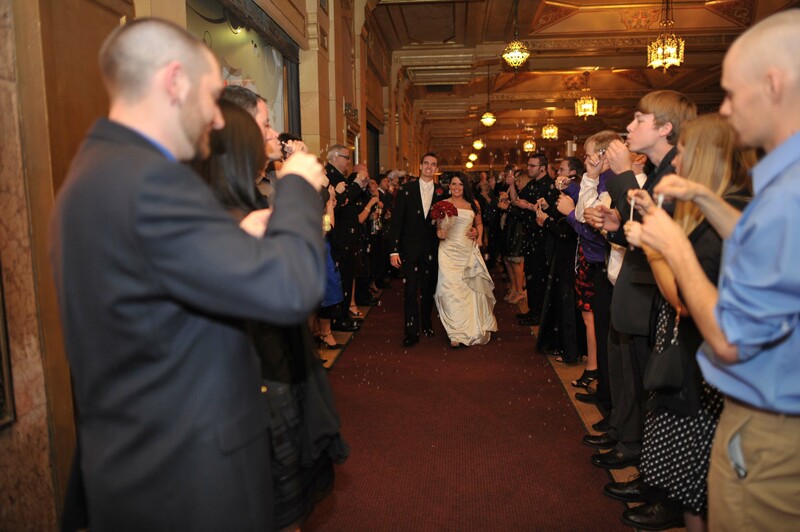 This magical wedding was held at the Fox Theatre Grand Ballroom. 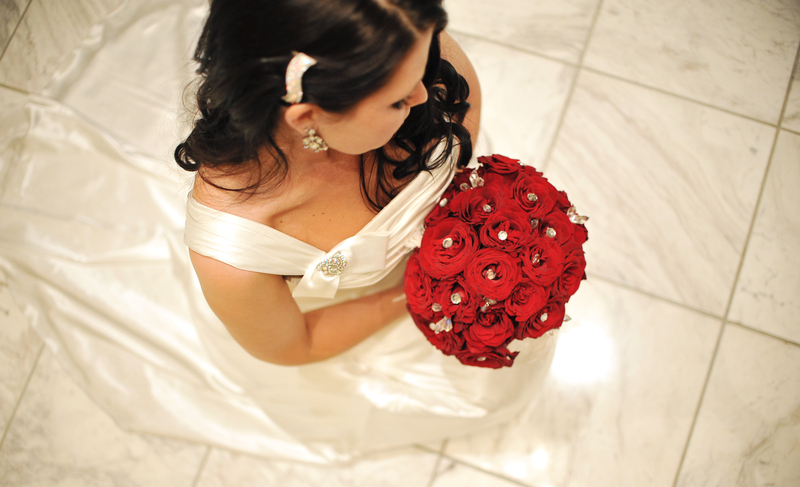 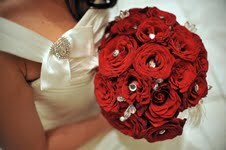 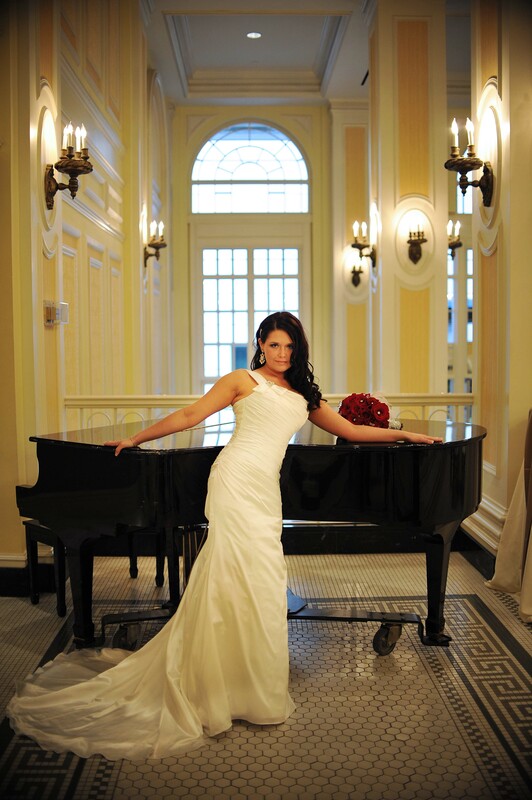 Brittany was stunning carrying a bouquet of 16 round open black magic red roses with rhinestone details inside. 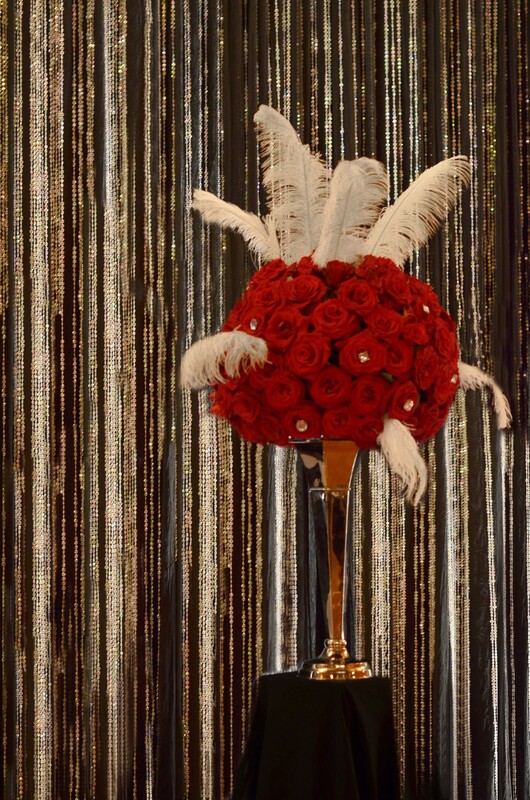 The rose blooms were accented with spray crystals throughout the design along with soft white ostrich feathers all wrapped with a rhinestone band – These exquisite details created by Design House of Flowers and Events. 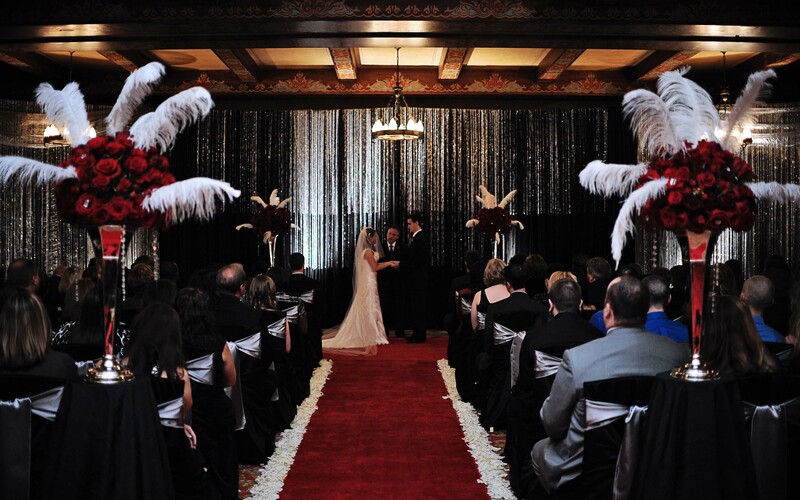 The red carpet entrance aisle led to the impressive altar of silver fluted vases topped with large red rose pomanders accented with hanging crystals and white ostrich feathers. 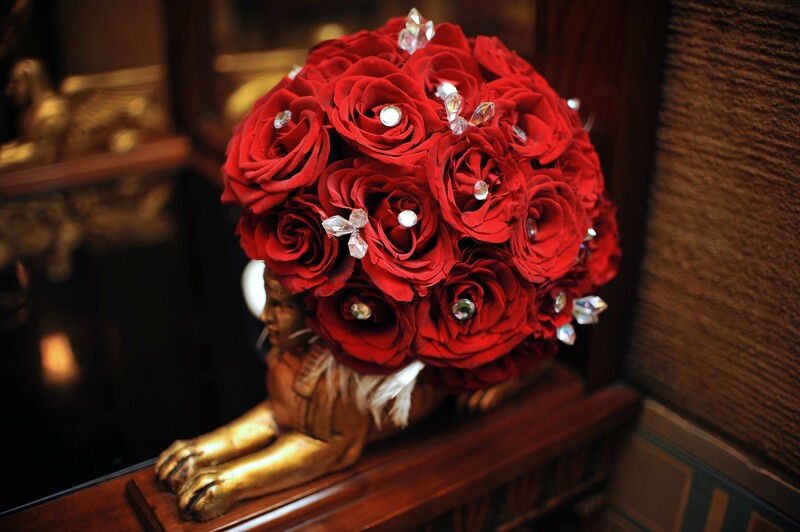 Everything Lovely Photo provided these breathtaking photos! 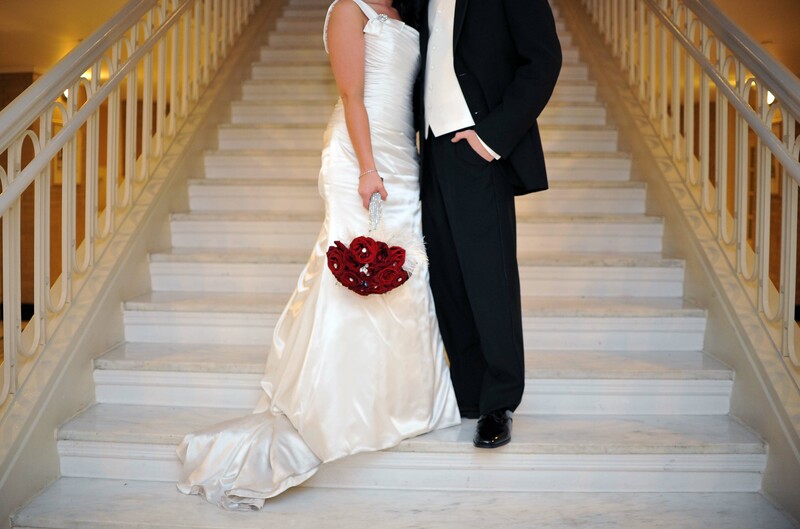 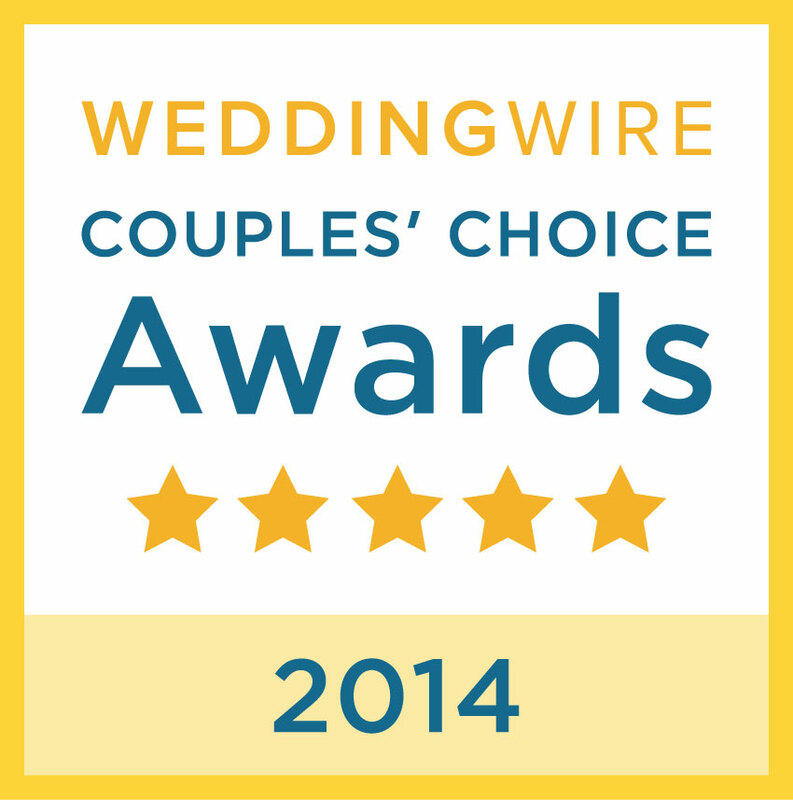 ← Christina + Dan at Chukkar Farm Featured in Style Me Pretty!